My sentiment (from Wordy Birds) was stamped on vellum and overlayed onto this pattern paper......I just couldn't cover up the pretty florals!! Welcome to the June Edition of the 12 Kits of Holidays! This group has been together now for a year and a half!! Every single month we get goodies from the hostess for the month. So many new things arrive..... makes it so fun!!! This month's kit was sent to us from Jeanne from A Kept Life. Jeanne sent papers, die cuts, buttons ribbon and other goodies! Thank you so much for sending out such a beautiful holiday kit!! I have been flying solo most of this week so I didn't have a lot of time in between 8 ball games in two different towns to get my post done (on time) for this morning. I've made 2 cards with Jeanne's kit and I know I've only scratched the surface but what I'm excited for this month is to see what else the group has done that I can CASE! 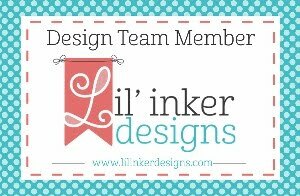 I have made this a priority to do this so I can get my holiday card stash prepared! That's it from me today but let's go check out what the rest of the group made with this kit!!! 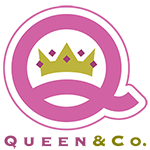 Make sure to stop by Jeanne's blog for a full supply list!!! 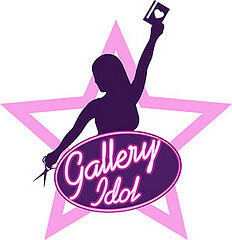 Gallery Idol.......one of the best experiences and I am very proud of my entries this year. I may not have won but I have gained so many new friends the past month and had tons of fun! This is my chance to thank YOU for all the votes, messages, emails, etc. because I know it took time and I will be forever grateful for that. From the bottom of my heart.....thank you so much!! Congrats to Deasy for her awesome work in the final round!!! Much deserved!! I made this card using the sketch this week over at Freshly Made Sketches. I used the set Peacock Pretties from Reverse Confetti. That's all for this post......I'm off to more ballgames today and tomorrow! The weather has been pretty nice......warm.....but not humid. I can handle that! Hi everyone!! It is with a heavy heart as I write my last Fresh Squeezed Stamps post as part of the inaugural Design Team. The new DT will take over soon and I can't wait to find out what rockstar ladies they've chosen!! It has been such a fabulous team to be on. Shannon and Ryann are some of the most supportive ladies around. Thank you BOTH for taking a chance on me with your fresh new company.......I've had a blast! 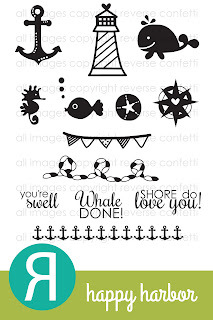 Speaking of a blast.......I thought it would be fitting to share a "blast from the past" with some of my favorite Fresh Squeezed Stamp projects over the last 6 months. But first.......I have a new card to share using The Envelope, Please. I just LOVE how this turned out and is one of my favorite FSS cards to date! There are so many little images in this set.......I've used 5 of them here on my card. This is my all time FAVORITE FSS card. Thanks again Shannon and Ryann for the last 6 months with your stamps!!!! I'm going to miss you! Hi everyone! We are amidst 2 baseball/softball tourneys right now. We played last night but the game was called due to lighting before it was considered a full game.......so tonight, we play the same team again! Go Xtreme! Thanks for stopping by! Have a wonderful start to your weekend!!! So with my day off except for swimming lessons and loads of laundry, I whipped this up for the current CAS(E) this Sketch! using some Verve goodies and a new paper pad, Beautiful Life from Echo Park. This paper collection is packed with COLOR!! A quick post as I'm heading out to a ball game after work. 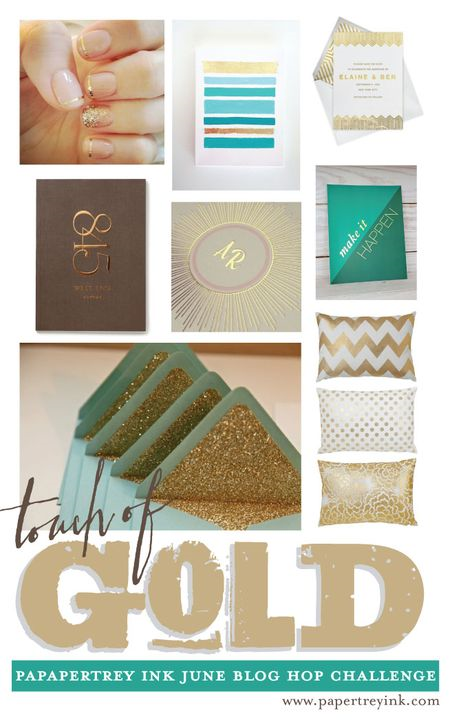 I had to play along with the PTI June Blog Hop! Using Modern Basics, I stamped my pattern in Versamark and heat embossed with Gold embossing powder. 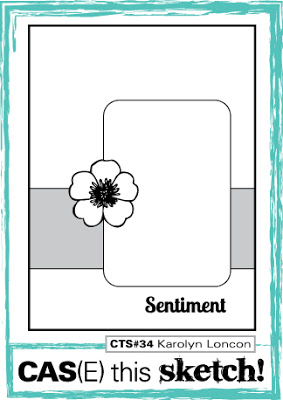 Adding in a quick sentiment from Bigger Blooms in black ink, I mounted the white embossed panel on a black card base. For good measure, I threw on some big gold pearls! Hi everyone! 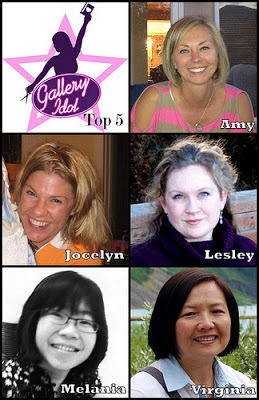 I am just thrilled that I made the Top 5 in Paper Crafts Gallery Idol 2013 card contest! Wow!!! The last round was full of cards using EXACTLY 10 embellishments! That was a difficult challenge round!! Thank you all SOO much for your votes!!! 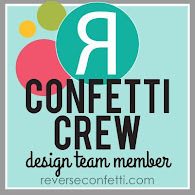 You can see the Paper Crafts post HERE! If you'd like to vote for the FINAL round, you can vote using the link on my side bar!!! Well everyone.......this is the week where you all vote on the challenge we worked on. The challenge this round is to make four color-coordinated cards in four different styles!!! 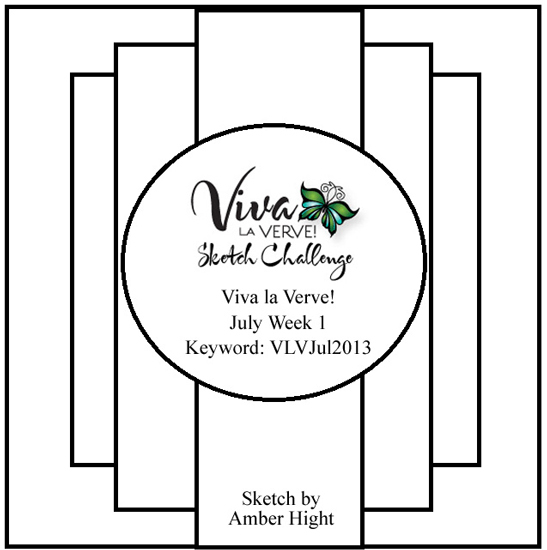 Here we go with my versions of this challenge.....I hope you like them! The first thing I did when preparing for this challenge was to choose a color palette. This was not easy but I kept going back to one that I used recently that I thought would be perfect. This however, proved to make designing each of these cards a bit difficult. CARD #1 uses the Classy & Elegant style. I wanted to stamp a background that would be eye catching with bits of color and adding some simple elegance with pearls. The sentiment was heat embossed with white Filigree embossing powder. CARD #2 uses the Clean and Graphic style. 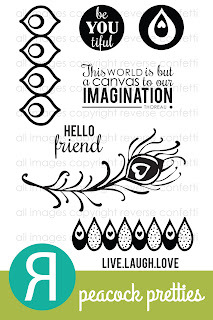 This is right up my alley and I love this stamp set from Papertrey Ink.....and Maile Belles! This set screams graphic and I am embracing the "tilted" once again! 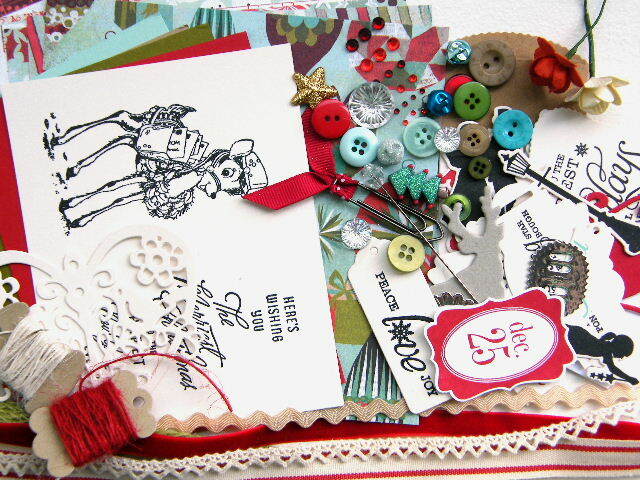 CARD #3 uses the Fun and Cute style. There really is no explaining this style. Just see for yourself. I made a window card for my little scene adding in some texture with the woodgrain impression plate on the front panel. CARD #4 uses the Freestyle Collage style. This style is new to me so this is my first attempt! I decided on bringing my color coordinating papers into the background and using a wooden tag for the focal point of my collage. Adding in some flair, Washi tape, enamel dots, colored burlap, twine, and a tiny sentiment flag rounded out my collage. Here are the chevrons in action......I had a really hard time getting a photo of these that weren't blurry or an optical illusion....ha! There you have my FOUR color-coordinated cards in four different styles. This was definitely a challenge this week but I had such a fun time creating these cards! 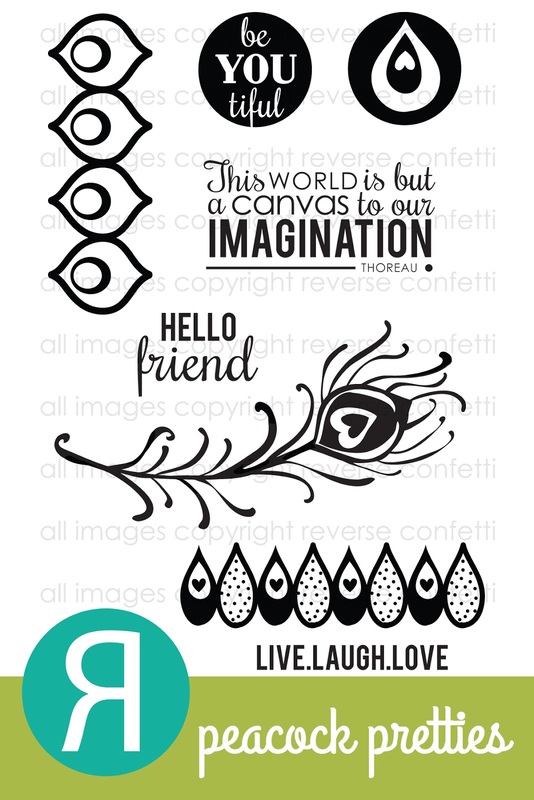 I hope my versions of the four styles I chose are enough to get your vote. Thanks soo much!!!! Hi everyone!! 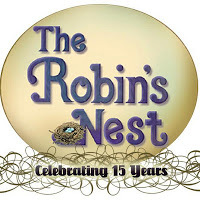 For the entire month Timeless Twine has joined up with The Robins Nest to help them celebrate 15 years!!! How exciting!! Be sure to head on over to their blog and store, so you can see all the goodies they have! I've used some fabulous Honeycomb Glitter Daisy paper. I didn't want to cover up any of this delicious paper so I stamped my sentiment onto vellum and layered over my pattern. I've used the Chocolate Chip Brown twine from Timeless Twine by Bella Creationz. Thanks for stopping by today!!! Enjoy your weekend! Whale Done......News and a WINNER! Hi everyone! Yesterday......BIG news came my way yesterday!!! I made it into the Top 5 of Paper Crafts Gallery Idol Contest! I am just thrilled to have made it this far especially with what talent is in this group!!! Wahoo!!! I have a WINNER to announce from my Summer Card Camp 2 post yesterday..........this person wins a spot in this summer's class! Congrats goes to.................lcdzines!!! I will be contacting you soon!!! Now to share a card made with some Reverse Confetti stamps......Happy Harbor! I certainly hope you are not tired of me using this set because I have so many more ideas for it!! 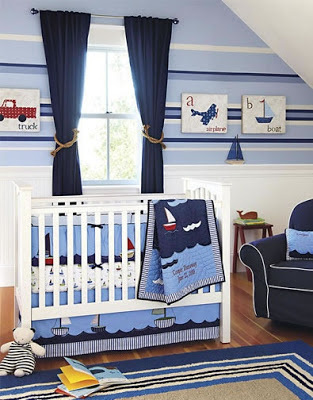 This idea came from a photo on Pinterest.........from Pottery Barn Kids. I focused on the layers of shades of blue and white stripes in the right side of the photo. I just loved the look of those image pictures hanging on the stripes. Thus, my card was born.....and a simple one at that! There was no rhyme or reason to the widths of the strips.....I just cut random widths and then arranged them similar to the photo. No measuring involved so this card came together very quickly! 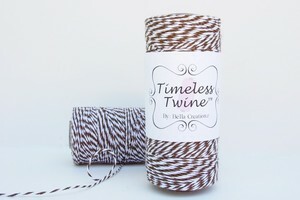 Timeless Twine and 10 Minute Craft Dash! 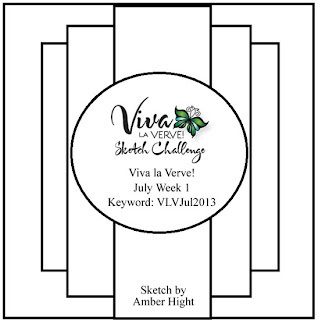 June Verve Diva Inspiration Hop!